A school of architecture in a university represents many things but it is, first and foremost, a place of learning – for open-minded enquiry, innovative explorations and intellectual leadership in the field. At The Chinese University of Hong Kong, the architecture programme is structured not merely to train graduates to join the ranks of the current profession, but to educate our students in adapting to inevitable changes to be encountered during their careers in their future profession, as well as defining and formulating it with leadership. To design buildings as future architects, our students are exposed to the integration of design, research and practice while developing a broad range of expertise in diverse areas such as design pedagogy and practice; building technology and sustainable design; digital technology and computational design; history, culture and conservation design; urban design and landscape urbanism; as well as appreciation of the cultural and intellectual meaning of architecture as the most permanent and visible embodiment of civilisation. 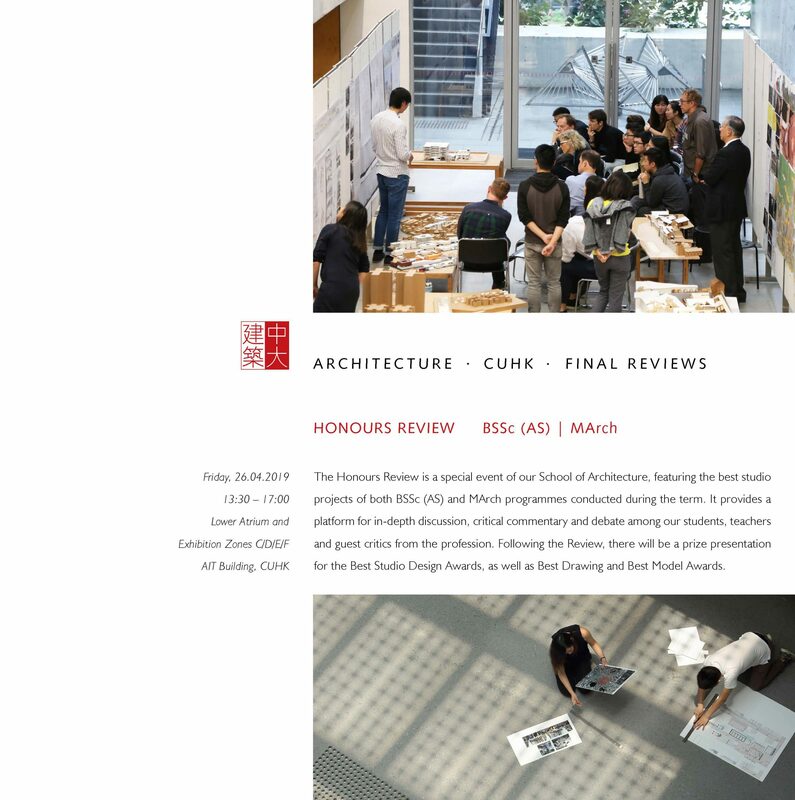 And, can there be any more exceptional time and place to study architecture and urbanism than now in Hong Kong, situated at the heart of the region in China and Asia where 21st century cities are changing and growing with unprecedented speed and scale? At the same time, there are daunting environmental challenges such as global warming and depleting resources in a world deeply divided by broken politics, social injustices and economic imbalances. What is the role of the architect in the face of these realities?